The global sourcing market is on the move. An era in which China was seen as the erstwhile guaranteed source of low production costs and reliable quality is coming to a close. And yet the Chinese market has enormous sales potential. 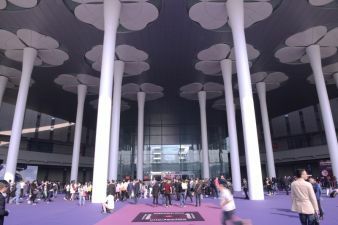 The extent of this potential was impressively demonstrated at this autumn's Intertextile Shanghai, which succeeded in breaking in advance all records for exhibitor numbers. The relative weakness of the euro, political uncertainty and the growing demands of corporate social responsibility are stirring up the procurement market, as the newly published 12th edition of the 'Kurt Salmon Sourcing Reference Study' shows. Every two years, this study analyses in detail current developments in textile and clothing procurement in the 46 most important purchasing countries of the world. It indicates that companies are more compelled than ever to seek out new sourcing alternatives. China's share of the European procurement market has fallen, according to the study, from 40% to a current figure of 32%, driven by ever-increasing wage costs and a strong yuan. Countermeasures instigated by the Chinese government have been unable to halt this trend. It is affecting central China as well, where the production cost index has risen more strongly in percentage terms than on the coast, due partly to lower productivity in the central regions. China is no longer, and will never again be, a low-wage economy. Thanks to enormous demand in the domestic market, this did not negatively affect Intertextile – quite the contrary, in fact. Moreover, having moved last March to the new National Exhibition and Convention Centre, the exhibition space's dimensions are truly vast. 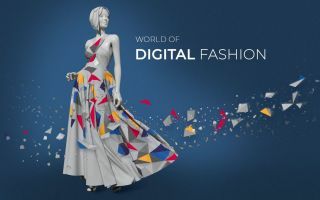 More than 4,600 exhibitors from 29 countries presented their latest collections in ten halls, occupying a total area of 228,000 square metres. 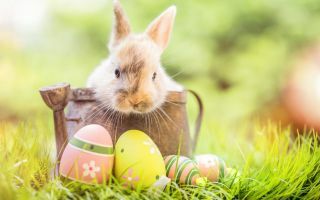 The number of visitors, however, fell from about 71,300 in the previous year to 66,200, although the previous event had taken place over four days. 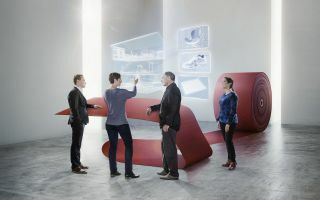 "Our aim", explained Wendy Wem, Senior General Manager of Messe Frankfurt (HK) Ltd, "is to make significant improvements to the structure of the trade fair, providing exhibitors with opportunities for knowledge transfer in both directions. At the same time, we aim to allow buyers to source products more efficiently across the entire product portfolio of fabrics and accessories, fibres and yarns, at all different levels of quality and price range. Everyone should be able to find the right products for them." And yet according to some Chinese exhibitors, the order levels are uncertain in many textile businesses across China, a situation that they say is threatening to get worse, with dramatic effects on the entire Chinese textile industry. C.Y. Cheung, CEO of Chinese denim producer Panther Textiles Holding Co Ltd, describes the situation thus: "China's economic development is having a major negative effect on the general situation regarding orders, and the European crisis has also caused orders to dwindle. In China itself, the increase in wage and raw materials costs has led to structural changes. In order to keep prices relatively stable, companies are obliged to seek out ever cheaper raw materials." The sales focus for the collection that his company was presenting, he said, therefore lay with the domestic market. The key to the success of the Chinese textile industry, in his view, lies in its innovative strength, which needs to be improved. The aforementioned study demonstrates, using denim as an example, that the cost advantage of the Far East over areas around Europes borders is gradually melting away. In the last two years, for example, China has lost 7% of the total denim sourcing volume to countries with lower production costs – principally to Bangladesh, Pakistan and Cambodia, but also to Turkey, Tunisia and Poland. Europe continues to be very significant to China; the demand among Chinese buyers for high quality products goes from strength to strength. "Chinese buyers are looking for European styles," explains Diane Parrot, Sales Manager of John Kaldor UK. Filippo Picchi, CEO at Picchi Spa, confirms this: "We are experiencing strongly increased demand from China." It is for this reason that more and more European producers are entering China, either with their own production or in cooperation with Chinese companies. And while Chinese producers continue to limp so badly behindin terms of their innovative power, this phenomenon is unlikely to change very quickly. 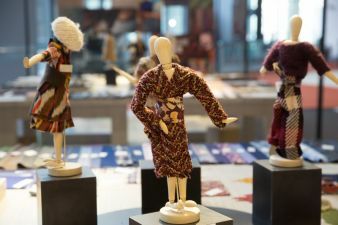 Both of the international halls bore the imprint of a European element, with a Premium Wool Zone and with the Europe Salon, which included national pavilions representing Germany, Portugal, the UK, Turkey and (for the first time) France. This was the eighth time that Milano Unica had taken place in China; it focused on 'high-quality made in Italy' and for the first time ever presented seven yarn producers. The eight domestic halls accounted for the larger proportion by far of Intertextile Shanghai, with Chinese exhibitors divided into diverse product groups such as ladieswear, functional wear, sportswear, swimwear, suits and shirts. In the 'All About Sustainability' zone, there was much discussion about the potential of the Chinese textile industry. Ma Ton, of Ecocert, spoke to many domestic businesses. "They need our certification mechanism," she explained, "in order to be able to survive in the international market. And although the Chinese textile industry has lost some of its clout, I remain optimistic about the future and in particular about the use of natural products in the textile industry. "The 'All About Sustainability' zone was complemented by a series of presentations organised for the Planet Textile Conference, with sessions led by experts from Europe, the USA and Asia. There are, it is true, signs of change in China's textile industry, though it remains to be seen just how the Chinese market will change. What is certain is that it is already undergoing that process of adjustment; the Chinese textile companies that can benefit from this will be those that are able to embrace change and react flexibly to the market, despite the crisis. After all, hidden within any crisis there are always opportunities to be found.